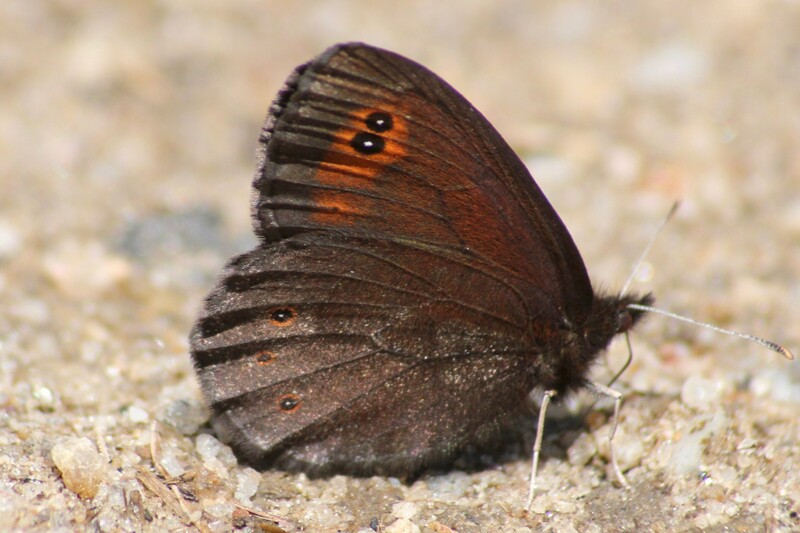 Identification: Wings are dark brown. 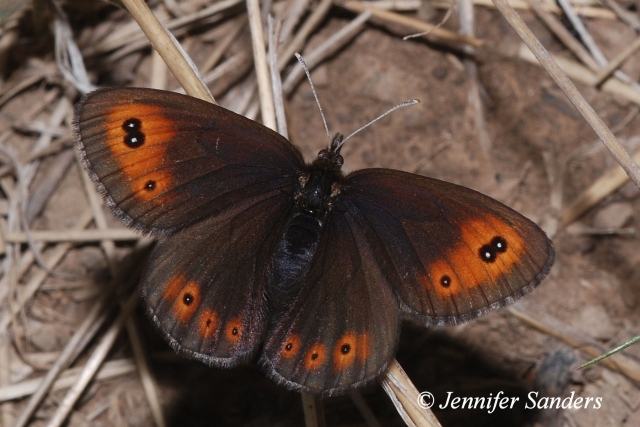 Upperside of both wings with white-centered submarginal eyespots in a yellow-orange patch. Underside of forewing is similar to the upperside; hindwing is gray with submarginal black eyespots. Life History: Males patrol all day to watch for females. Eggs are laid on living and dead grasses. Third- and fourth-stage caterpillars hibernate. Habitat: Moist open grassy fields, meadows, high prairies, open forests. Range: Alaska south through the Rocky Mountains to northern New Mexico; west across the prairie provinces to southwest Manitoba.